Der große Weise Narada sprach:Was wäre mit der Unterwelt vergleichbar, wo die Nagas mit hervorragenden,wunderschönen und freudestrahlenden Juwelen geschmückt werden? Wer würde sich nicht in der Unterwelt erfreuen, wo die bezaubernden Töchter der Dämonen umherwandern und sogar die härtesten Asketen faszinieren, wo die Sonne am Tage freundlich ohne Hitze scheint und der Mond bei Nacht klar ohne Kälte, wo sich die Söhne der Dämonen köstlicher Speisen und guter Weine erfreuen und nicht merken, wie die Zeit vergeht? Dort gibt es wunderschöne Gärten, Flüsse und Seen, wo Lotusblumen wachsen, und die Himmel hallen von den Liedern des Koils wider (ein bezaubernder Singvogel) Herrliche Ornamente, duftende Parfüme, reiche Salben, harmonische Musik der Lauten, Flöten und Trommeln sowie viele andere Vergnügen werden dort den Danavas, Daityas und Nagas zuteil, welche die Bereiche der Unterwelt bewohnen. Die Himmlischen nennen es Ananta. Es hat tausend Köpfe, die mit mystischen Zeichen geziert sind, und die tausend Juwelen auf seinen Köpfen strahlen durch alle Bereiche. Zum Wohle der Welt begrenzt dieses Wesen die Kraft der Dämonen und seine Augen rollen im Rausch. Jeder Kopf trägt Ohrring, Diadem und einen Kranz. Dieses Wesen strahlt wie die weißen Berge oder das Feuer. Es trägt purpurrote Kleidung, Ornamente mit einer weißen Kette und erscheint wie ein zweiter Kailash, von dem die himmlische Ganga herabfließt. In einer Hand hält es den Pflug und in der anderen die Keule. Dieses selbststrahlende Wesen wird besonders von der Göttin des Wohlstandes und der Göttin Varuni verehrt. Am Ende des Kalpas (des Schöpfungstages) kommt aus seinen Mündern ein allesvernichtendes Feuer, das eine Verkörperung von Rudra ist und die drei Welten verschlingt. Sesha trägt als Erscheinung der Gottheit diese ganze Welt wie ein Diadem auf seinem Kopf und ist das Fundament, auf dem die sieben Bereiche der Unterwelt Patala ruhen. Seine Macht, sein Ruhm, seine Form und sein Wesen können nicht beschrieben werden, und nicht einmal die Götter können es begreifen. Wer sollte auch seine Kraft ermessen, der diese ganze Erde wie eine Blumengirlande trägt, purpurrot eingefärbt durch das Licht von den Juwelen seiner Köpfe. Wenn Ananta mit trunkenen Augen gähnt, dann erbebt die Erde mit all ihren Wäldern, Bergen, Flüssen und Ozeanen. Nicht einmal die Gandharvas, Apsaras, Siddhas, Kinnaras, Nagas und Charanas können ihn wahrhaft preisen,und deshalb wird er der Unendliche (Ananta) und Unvergängliche genannt. Die Sandelholzpaste, die von den Frauen der Nagas gerieben wird, tritt durch seinen Atem aus und verbreitet seinen Duft im ganzen Himmel. It is infinitesimal compared to the hood of Lord Ananta. another incarnation of the Supreme Personality of Godhead. 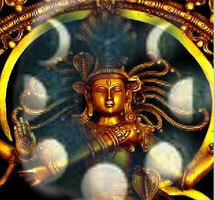 He is the expansion of Lord Vishnu known as Lord Ananta or Lord Sankarsana. He is always in the transcendental position, but because He is worshiped by Lord Shiva, the deity of tamo-guna or darkness, He is sometimes called tamasi. 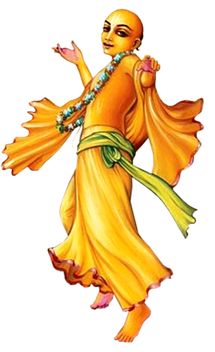 becomes Shesa for holding up the earth. appears to have a small finite size, it is infinite. Bhu-mandala is just atomic [in comparison]. Here, the comparison of Bhu-mandala to an atom is made with reference to Anantas bearing the world on one of His heads, and being unaware of its presence there. 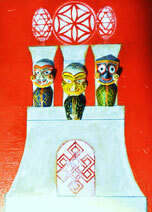 Thus, Bhu-mandala is supported by Ananta Shesa. Thus, being supported by Ananta, the earth does not fall down into the Garbha Ocean. At this stage one may ask, “Why, without the support of Ananta, would it fall into the Garbha ocean? Or for that matter, why does the water of that ocean stay at the bottom of the universe?” The answer to these questions delves into the topic of what is currently referred to as gravity. In order to develop an understanding of this we shall first consider a few important features of the layout of the universe as it is described in the Srimad-Bhagavatam and other scriptures. In the beginning, Garbhodakashayi Vishnu entered the universe and filled half of it with the water created from His own persipartion. 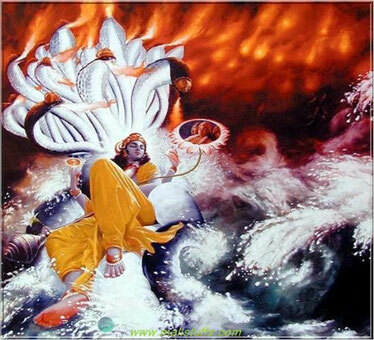 He then lay down on that water on Ananta Shesa. After creating millions of universes, the first purusha entered into each of them in a separate form, as Shri Garbhodakashayi. Entering the universe, He found only darkness, with no place in which to reside. Thus He began to consider. Then He created water from the perspiration of His own body and with that water filled half the universe. This ocean fills the bottom half of the universe, and its manifestation occurs before the creation of the fourteen worlds. the universe must not arise from any planets or planetary systems. Rather, it is only a result of the Lord‖s potency that this water stays in that place. Following the manifestation of this water, Lord Brahma takes his birth, and gradually he creates the fourteen planetary systems. 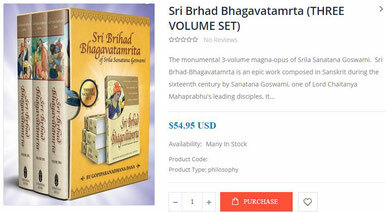 In this regard, Brahma is empowered by the Lord to create. After filling half the universe with water, He made His own residence therein and manifested the fourteen worlds in the other half. Mahar, (5) Janas, (6) Tapas and (7) Satya. (1) Tala, (2) Atala, (3) Vitala, (4) Nitala, (5) Talatala, (6) Mahatala and (7) Sutala. The lower planets as a whole are called Patala. Thus, the upper half of the universe is filled with fourteen vertically stratified planetary systems, and the lower half is filled with water. The dimension of each of these layers is provided in the Fifth Canto of SB and a simple representation is shown in diagram 1.
appeared, and the Lord pierced him with His tusk. Thus, it is clear, that when the planetary systems are disturbed, they may fall towards the bottom of the universe. 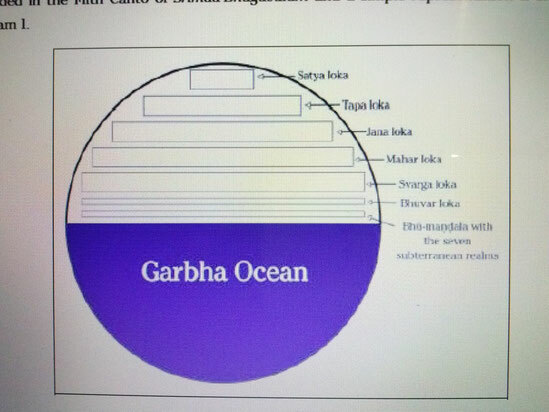 Garbhodaka Ocean, which covers half the universe. and material fragrance is His sense of smell. His mouth is the blazing fire. Thus, the Lord establishes all the directions as part of His primary creation. the four intermediate directions (north-east, south-east, south-west & north-west), and the two directions of up and down. directions, and collectively these individulas are known as the dik-palas, the governors of the directions. It is important for the present discussion to note that the downward direction (adhaù) isruled by Ananta. universe. 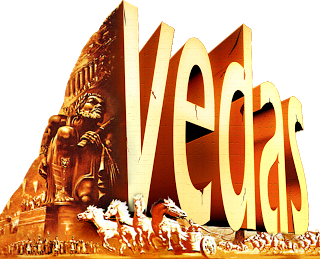 As such, a deity of Ananta Shesa is traditionally established as the foundation and support of important buildings such as temples. But why do things fall down? Modern science attempts to explain this by the law of gravity. It should be noted, however, that the explanation given by this is quite rudimentary. For classical theories of gravity, every material object is ascribed an attractive force that it exerts on all other matter. This attractive force is said to be a natural consequence of the mass of the object. force exists or how it acts from a distance. Indeed, Isaac Newton who formulated the mathematics of this theory, abhorred the idea of there being no such explanations. spacetime is said to be the cause of what is experienced as gravitational force. Of course, in this theory there is no elucidation of the exact nature of mass, energy, space or time; and as such, the nature of their interactions is also unclear. Thus, while a series of mathematical formulae are established that apparently describe the action of gravity, there remains no real explanation of the purpose or cause of this well known phenomenon. Therefore, such theories can hardly be considered comprehensive.